JONESTOWN, Pa. (November 7, 2017) – A year for the record books, the “Jonestown Jet” Brock Zearfoss capped off his 2017 campaign with a pair of World of Outlaws Craftsman Sprint Car Series starts at The Dirt Track at Charlotte. Qualifying for each of the contested A-mains, Zearfoss finished 19th and 13th during his campaign in North Carolina, charging from the outside of row ten to earn his 13th place finish on Saturday, November 4. 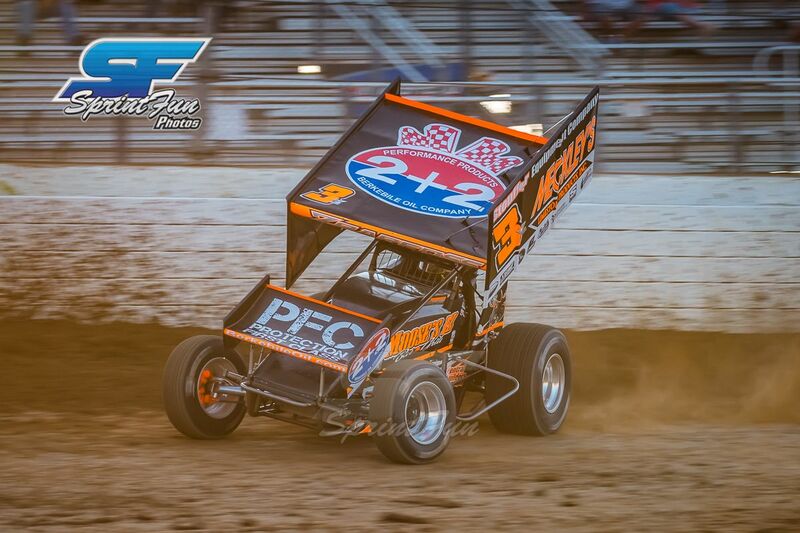 Zearfoss is a frequent flyer with the Greatest Show On Dirt, earning a pair of top-ten finishes in 2017 including a victory at the world-famous Williams Grove Speedway in Mechanicsburg, Pennsylvania. The World of Outlaws victory was a first-ever for the Jonestown native. Zearfoss will announce his plans for the 2018 season during the coming weeks. A tentative schedule will be released at that time.